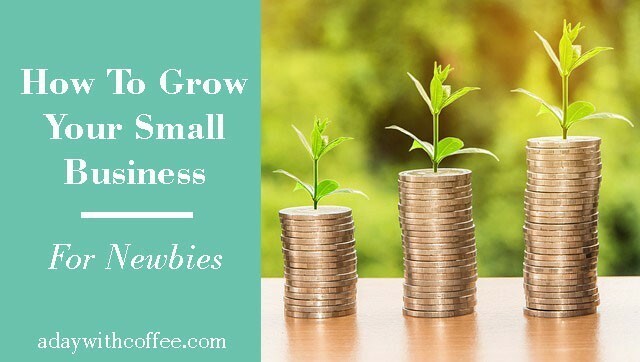 If you started a website to work from home, and you have been working on the first steps to create a product or service for your clients, it’s time to work on how to grow your small business to make a full income from it. You might know at this point you need to create the best content for your readers to provide a way to help them to solve a problem and create a better life. As you learn about how to build up your own website, you’ll learn more about the tools and resources you can use to help you to grow your business and get it known by more clients. There’s a few platforms you can use to build up that unique website that will help you to stand out from the rest on your niche. Some are free to use and some you need to pay for them, but at the beginning you can start working with the free platforms and grow your list to start making some income from it, as you grow your business you can sign up for the pay platforms to build up a solid business, one step at the time. 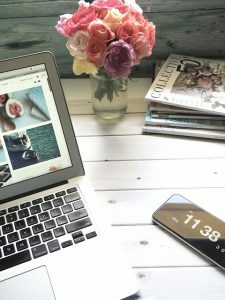 Let’s think you already have your website and blog going, so you have been working on the first steps to work on, when you want to start your own online business. If you haven’t got to this point, and you want to learn more about how to start your own website to build up a business and start working from home, I will recommend you to read this article to work from home. 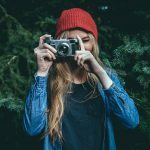 No matter what niche you are working on to create your online business, you will need to use great images to make your website more attractive for your client. Content is the king, if you don’t write great valuable content for your readers they will not be interested to read your content. Write a catchy title for your content and you will get your client to read it. But if you add a great feature image for every blog post on your website, you will have more chances to keep your reader on your website, an image is worth more than a thousand words. You can sign up to Canva.com and create a free account anytime. You can create the best images for your website, but you can also create the best image for your brand and your Social Media. Develop your own brand and share it on Social Media and more people will become your readers. 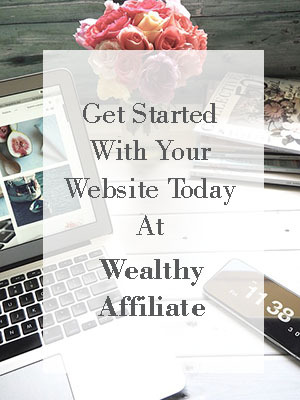 When you sign up to Wealthy Affiliate to Premium membership ($49 monthly) you can get weekly training to help you to build up your online business, you can watch a webinar to start creating your own images for your website with Canva here. There’s a few platforms to start your own e-mail list but if you’re on your starting stage to create your website and blog, I would recommend to sign up to MailChimp.com and create a free account for your business. One of the advantages to get a free MailChip account is you can grow your list up to 2000 e-mails on it with no cost at all. This way you can start growing your list and begin to sell your products or services with your subscribers. The best images for your website. Well it’s known you need to use some images on your website and blog to help your reader to stay on your website and read your content. An image can tell a thousand words, an image can tell us about emotions, it will help us to connect with our readers. You don’t need to pay to get great pictures for your website at the beginning and stand out from the rest. At the beginning you will be writing your own blog and creating great value content for your reader, as you start growing your audience, your client will get interested on the product or service you can provide for them, to help them to make their lives better and easier. Your business will start to grow at this point and at this moment you’ll need a landing page on your website to welcome your reader, and to let them know about the product or service they are just looking for to solve a particular problem. Make it easy for them to find you and to know about what you have to help them to live better. You can get the best tool for your business to start making sales… a landing page. You can sign up to Leadpages.com to get a landing page for your website and you can also can sign up to Wealthy Affiliate and watch a webinar where Jay will explain to you more about the purpose of a landing page and how you can set up a landing page on your blog to help your business to grow. You have been working hard to build up your website and blog for your business, but you know you’re not getting as much traffic as you wish to make as many sales as your business needs to make to become a success. There might be a reason why you’re not getting as many readers and clients on your website and it can be just because they still don’t know you’re there. With millions and millions of blogs writing new content every day, your blog is just one more, and it’s hard to find it unless you do the right things to place it just right in front of your client and they can find you first thing in the morning every day. You need to know who is your target client. They will find your business and they will know you have the right product or service to solve that particular problem that they don’t know how to solve out! That is the purpose of Social Media, to help clients and business to get connected. You just need to sign up to one or maybe two and create a community there that follows you, and that they are interested already on your business. Not everyone has an account on every single Social Media, your product and your service will not solve everyone’s problem and they won’t solve all the problems in the world, so why to use all Social Media for your business? You need to take your time to find out where your target client spends sometime on Social Media, once you know which one it is, then get an account and post regularly on it share valuable content. Give your target client what they are looking for, be there to help them to solve that particular problem and help them to live happier. As you work on that, you’ll gain more happy clients and they will talk about your business on Social Media, and more people with the same problem to solve will find you. Building up a business today can be easier than what you think, there’s many free resources to help you to build up a solid foundation. Take your time to learn the ropes to build up a website for your business, write the content your target client is looking for and help them to live better and happier. To build up a business won’t happen in one day or two, you need to work on it every day and it might take some time to start making money for you, if you want to see some results, the best advice I can give you it’s to start today. 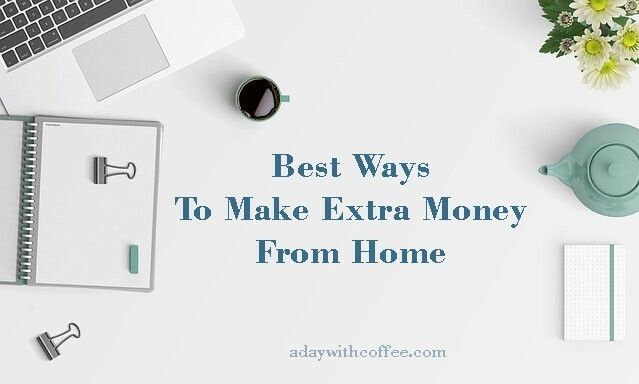 If you’re a newbie and you’re interested to learn how you can build up a business and start working from home, you can read my recommendation #1. I have taken advantage of this method of using free platforms as a kickoff point. In time obviously I do go with the paid version of some services. Canva for example offers such a great service that to go to the pro version is a no-brainer. 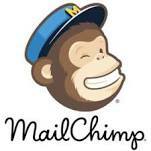 However I’m a bit more of a Get Response fan over MailChimp. Thank you for providing the list of tools to grow my online business. I am a huge fan of Canva, I use it every day to create my blog and social media images. Although, Leadspage is specialized in creating Landing Page but it’s too pricy for a beginner like me. I am still looking for alternative. The good side of Mailchimp is you can grow your email list to 2,000 but the disadvantage you can’t attach affiliate link in your email as compared to Mailerlite that I am using now. These are some wonderful tips on how to get kick started with your own small business. These are staples for every community and brand and it’s important to always refresh yourself on what exactly is going on. I really appreciate your article, and hope the best for you and your content.